Are you looking an information assurance framework ISO 27001? 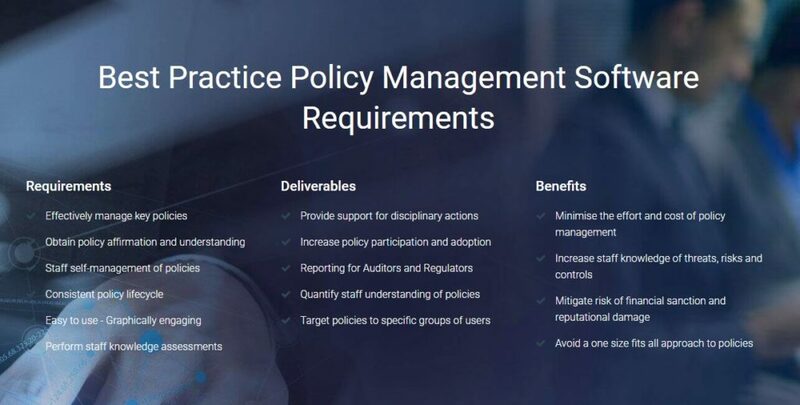 The MetaCompliance Policy Management software contains all the key elements required to automate, deliver and manage your organisation’s policy management life cycle. All major regulatory oversight requirements begin with writing compliance policies. These policies guide staff and partners on the relationship the organisation has with current legislation and industry regulations.